Where does the Jewish community stand, with Bernie or AIPAC? As an anti-zionist Palestinian living in the West I often get interrogated about my identity in relation to the Jewish community. The scenario where I am accused of being anti-semitic arises as much as the one where I am asked if I’d ‘bring up politics’ if we go out with my friend’s Jewish friends – both of which are equally offensive. I have to repeat the same spiel I give Arabs who use the terms interchangeably: that not all Jews are Zionists and not all Zionists are Jews, that I have Jewish friends and mentors whom I adore, but none who believe in settler colonialism and apartheid. While on the matter of ‘bringing up politics’, the personal is fundamentally political, especially when the first question asked is ‘so where are you from?’. However, the way in which the Jewish identity is politically aligned is what fascinates me. The religion is seen as counterpart to my nationality, and the Palestinian cause is in turn misunderstood as a religious struggle, (when, to be clear, it’s about land.) Palestinians are left asking themselves how is it that a white Jew from Illinois has more of a right to the Eastern coast of the Mediterranean and Western coast of the Dead Sea than that of someone whose parents, and parents’ parents’ parents, were born and bred there? Where does the Jewish community stop being a spiritual one and start to be a political association with a territorial agenda? In the West, Palestinians (especially if outspoken) are seen as problematic, complicated immigrants (if not outright anti-semitic terrorists), where Jews are mostly white, rich, and liberal, setting the imbalanced power dynamic in any discussion or debate. When I speak on my disenfranchised identity I am seen as a radical nationalist, whereas when a Jewish classmate or acquaintance speaks about peace and neutrality they are seen as relatively progressive. As an atheist who bases my political moral stances on social justice rather than religious mainstreams, I am perplexed at how many Jews regard the community as moral and progressive, but have normalized an exception for illegal Israeli settlements and apartheid (kind of like pepperoni+extra-parmesan -pizza-loving vegans). As Norman Finkelstein claims, the vast majority of Jews pride themselves on their collective liberalism, and some even their socialism. So how do they get away with reconciling progressive leftism with settler colonialism, as if kibbutzim is kosher land theft? In reality the Jewish community in the West is not only the spokesperson but the foundation for the settler colonial state, its legal team and treasury, its Dershowitz and Adelson. But the Jewish community also has its Chomskys and Butlers. So can the voices of such Jewish anti-Zionists challenge the voices of power and wealth within the Jewish community? Unfortunately in American democracy and foreign policy, the Dershowitz’s and Adelsons have reigned unabated. When Bernie Sanders, potentially America’s first Jewish President refused to entertain at AIPAC, we witnessed an unprecedented challenge to the pro-Israel lobby, and from within the Jewish community. When Bernie gave a speech that acknowledges Israeli violence and Palestinian life (in contrast to previous candidates who have denied Palestine exists at all), when he hugged a Black Muslim student and told her he’s Jewish, when Palestinian social justice activist Linda Sarsour became one of his spokespersons, he represented the Jewish community as one that is relatively progressive, and more importantly, a Jewish community that is at odds with the hegemonic AIPAC. Meanwhile all other non-Jewish but still white candidates wrestled for the stealthy zionist vote by renewing the annual vow that ‘this year the US and Israel will be…closer than ever, stronger than ever and more determined than ever’, Bernie respected his own promise and a people’s petition to ignore lobbyists and refuse AIPAC. Giving the financial lobby of US democracy the cold shoulder had been deemed impossible in recent years, until the first Jewish candidate for US presidency did it. But my question now becomes, between the historic AIPAC lobby and the first Jewish candidate for presidency in the US, where does the Jewish community stand? Do AIPAC’s ivory towers still direct the Jewish democratic vote? 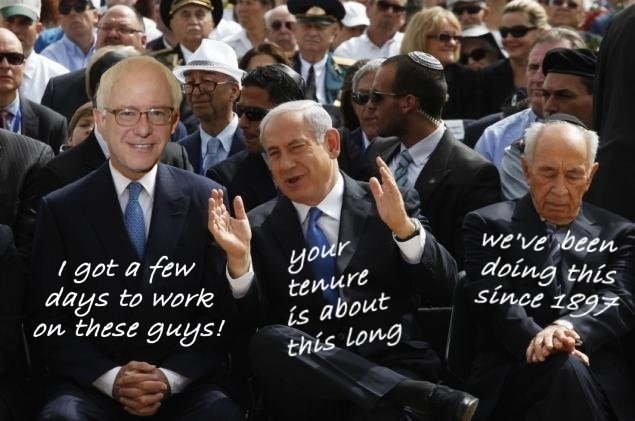 Did Bernie’s stance make a difference on Jews’ loyalty to AIPAC? After this, is the Jewish community for a more socially progressive US, or for a stronger Israel? Dearborn Arabs’ overwhelming support for Bernie made headlines because the myth that anti-zionism is anti-semitism was finally proven to be a zionist hoax. As people who are all too familiar with violent discrimination and discriminatory violence, we stand with the Jewish candidate who has and will most likely stand for our rights. Note: Although miles ahead of his co-candidates, Bernie’s position on Palestine is far from satisfactory. Throughout his career he has been inconsistent, evasive, and ambivalent in his critique of Israel leaving many Palestinians and potential voters guessing if he deserves their vote. In writing this, I am turning the tables to put the onus on the Jewish community: we are watching and holding you accountable, who are ya’ll voting for? The west and its lobbies use your Jewish identities to dictate foreign affairs and the fate of my land. As a (non-American) Palestinian, I am implicated in how self declared leftist/Birthright-going/Peace-loving Jewish community members in the US read the AIPAC-Bernie stand-off. I hope you share my desperate optimism, that what started as Bernie’s anti-big-money campaign challenges AIPAC on not only how its money functions corruptly, but how it determines public support for wars in the Middle East. You hold some power in choosing which Jewish voice represents you, the neoliberal hawk, or the critical bir[d]ie. This post first appeared on Rym Farah’s site here. Rym Farah is a recent graduate of the University of Toronto where she studied Peace, Conflict, and Justice Studies and prospective postgraduate student at SOAS where she hopes to remain involved in Palestine activism. Other posts by Rym Farah. American and Western European Jews have also been victims of that Zionist hoax. These groups originally opposed the “Zionist project”. The original Zionist colonists were radical Jewish extremists from Eastern Europe. Their religious war was financed by Western European bankers with a history of profiting from wars. The Holocaust enabled the “safe haven” story to gain support from American and Western European Jews. In actuality the project created a profitable war zone. Sheer financial power was used to capture British and American politicians and press. Here’s an article by Jewish psychologist Avigail Abarbanel, It’s time for American Jews to recognize they have been duped. Here’s an article on Israel’s weapons industry and its role in maintaining Israel’s power. Additional historical facts are given succinctly online in “War Profiteers and the War on Terror”. A beautiful article . I love my Palestinian friends and my Jewish friends who speak out for the end of the occupation.The silence is breaking and Palestinians will be free. I have hopes Hamas and Fatah will soon unite in non violent resistance. We know that all who continue to support Zionist Israel’s crimes and lies are complicit in an apartheid, racist ideology. I embrace you. Exactly. I just made a suggestion on the survey that addresses this unfortunate, if engineered, dynamic. The reporting here is great, topical, and focused, but MW needs a Palestinian stringer. The reporting here is done by Jews for Jews and that has the effect of reinforcing this dynamic. Phil, Adam, and Allison can come and go unfettered which leaves a subtextual sense that things aren’t really so bad in Occupied Palestine. They do a great job (I mean it) and I know they don’t mean for this to happen, but it does. Easy transit to and from Israel for them unwittingly but effectively belies the brutal severity of Palestinian daily life that they try so hard to convey verbally. Part of the problem is there are great guest Palestinian writers who appear here, but they don’t get much activity. I think, rightly or wrongly, that this is due in significant part to the fact that we readers/commenters don’t know them and our decades-old background indoctrination on this issue tells us – tragically and exactly as you point out – that they may well be only excitable rabble rousers and not “calm” describers of an increasingly ugly and desperate situation. They are viscerally (but NOT intellectually, imo) discounted for that reason. If there was an in-country Palestinian staff reporter here that we could get to know, rhetorically, on a regular basis, the “rabble rouser” discount would be avoided, the Palestinian experience more fully and viscerally documented, and Mondoweiss would sharpen its edge and appeal. Thanks for this article, Ms. Farah. Articles that move the stuff of subconscious into the realm of the conscious and realization are especially useful and necessary as this conflict moves into its broadening awareness and remedies phase. The morality has been established. The receptiveness to that moral message now needs to be enhanced. This article helps enhance that moral receptiveness. Shorter corollary: By NOT having a regular, full-throated, in-country Palestinian voice reporting, great sites like MW reinforce this constraining dynamic. Unwittingly, imho. Very good article, but you can tell the author isn’t well versed in American politics. What I mean by that is that she invests all this power in the Jewish community to end the special relationship with the Jewish Apartheid state. In reality, the Jewish community matters, but increasingly less so, as the BDS movement is drawing strength from all communities, most of whom are non-Jewish. Yes, there are plenty Jews in it, but whether there is Jewish consent or not is frankly irrelevant. Time and patience have simply run out to wait on a sudden mass Jewish awakening when it hasn’t been happning. Wow, Reem Farah is letting the Jews know what choice they must make. OK, I’ll humor Reem Farah. The choice couldn’t be simpler. AIPAC! That is a brilliant analysis, not shared by anyone I know. Get a grip, on reality. Yes the geeks still attend AIPAC. Not the kool kids, the geeks. Did you miss that the last time you were there? It’s fairly obvious, Like the Brandeis football team that Pat Buchanan refers to. There is nothing to stop a dispute which is ‘about land’ from being ideological and nothing to stop the relevant ideology from being religious or religion- influenced, surely?